Because bread is just better when it's pretzeled, right? 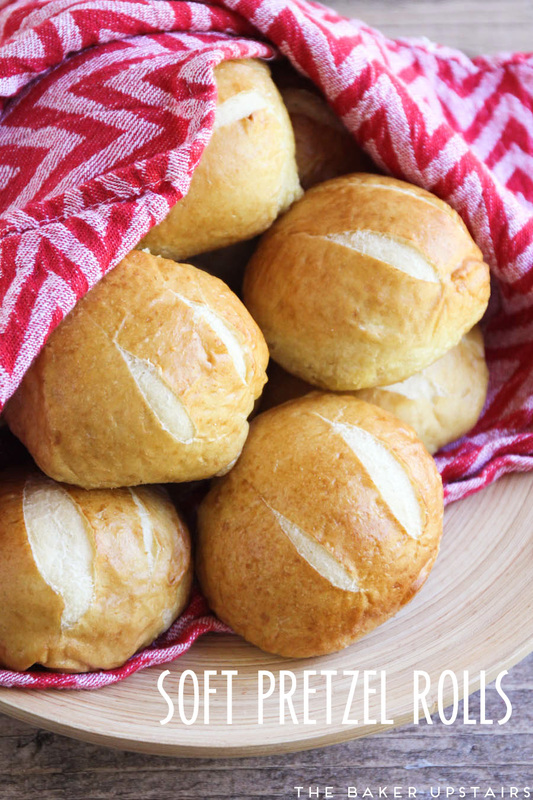 A few days ago I was craving burgers, and having a full afternoon in front of me with no urgent plans, I decided to make my own pretzel rolls for the burgers. Best decision ever! 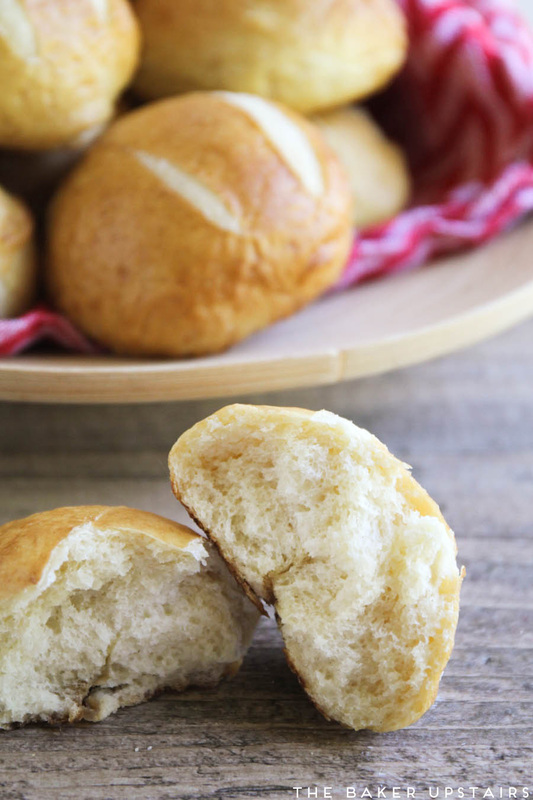 These rolls are soft yet sturdy, just slightly crisp on the outside, and the perfect bun for any kind of burger or sandwich! In a large bowl or the bowl of a stand mixer, mix together the yeast, oil, milk, and water. Let sit about five minutes, until the yeast is starting to bubble. Mix in the salt and 2 cups of the flour. Add additional flour, 1/4 cup at a time, until a soft dough forms that does not stick to your finger when lightly tapped. Cover and let rise one hour, until doubled. When the dough has risen, gently punch the dough down and divide into 12 equal sized pieces (mine were exactly 3 ounces each). Shape each piece of dough into a ball and place on a greased cookie sheet or greased countertop to rise. Cover and let rise one hour. When the dough has nearly finished rising, preheat the oven to 425. Heat the water, sugar, and soda to boiling in a large pot. Add the pieces of dough to the pot, 2-3 at a time, and boil 1-2 minutes on each side. 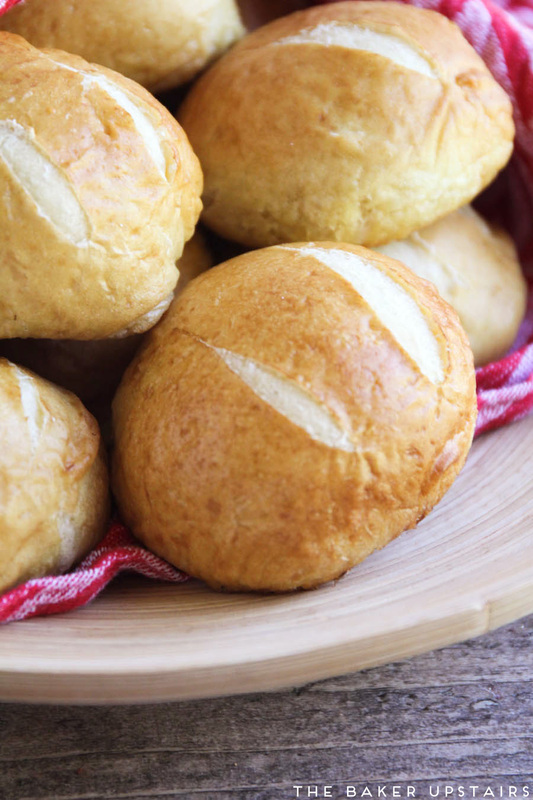 Place the boiled pieces of dough on a greased baking sheet and sprinkle with coarse salt. Make 2 gashes on the top of each piece of dough with a sharp knife. Bake 20-22 minutes, or until deep golden brown.